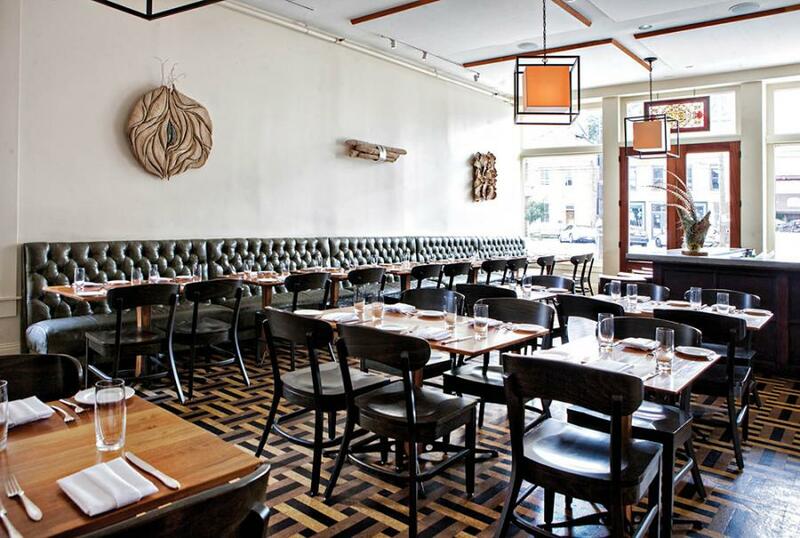 There’s gustatory genius behind Decca’s deceptively humble vibe. Most chefs fall into one of two categories: those who consider themselves artists (often tortured) and those who identify as crafts(wo)men. Possibly because all my notions of comforting, loving, and nurturing involve cooking, I’m a fan of the latter. Most diners don’t care if a chef once staged for a full 45 minutes at Noma or if he can distill the essence of Lucky Charms into a colorless vapor. What we all crave are dishes like Annie Pettry’s ultra-creamy and shamefully comforting braised lima beans with focaccia bread crumbs and orange zest. Or her duck liver terrine served with pickled ramps and cherries on one occasion and a super high acidity pickled vegetable medley the next. 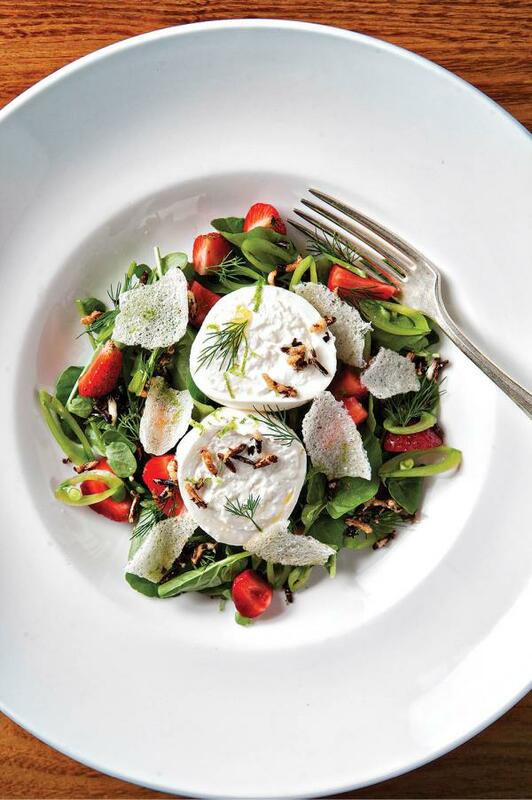 Strawberries in a salad strike you as dreary country club fodder? 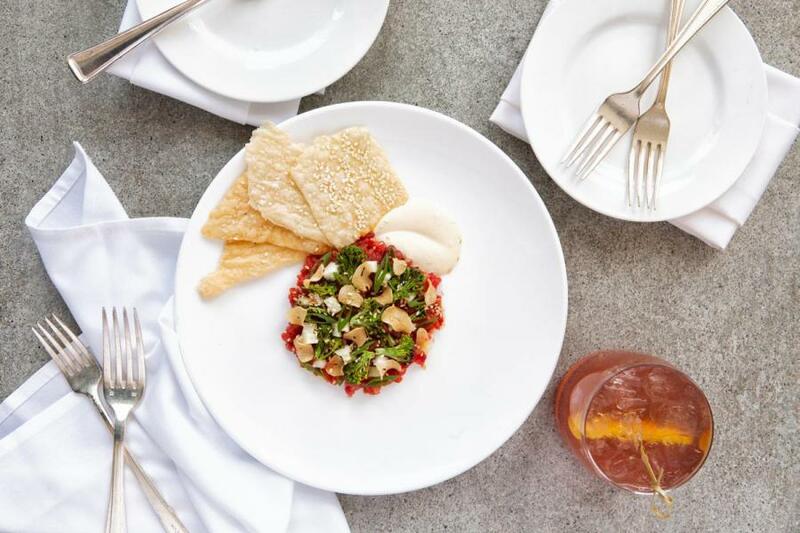 Me too, but prepare to be stunned by Pettry’s iteration with peppery watercress, rich burrata cheese, and the unexpected crunch of toasted wild rice. 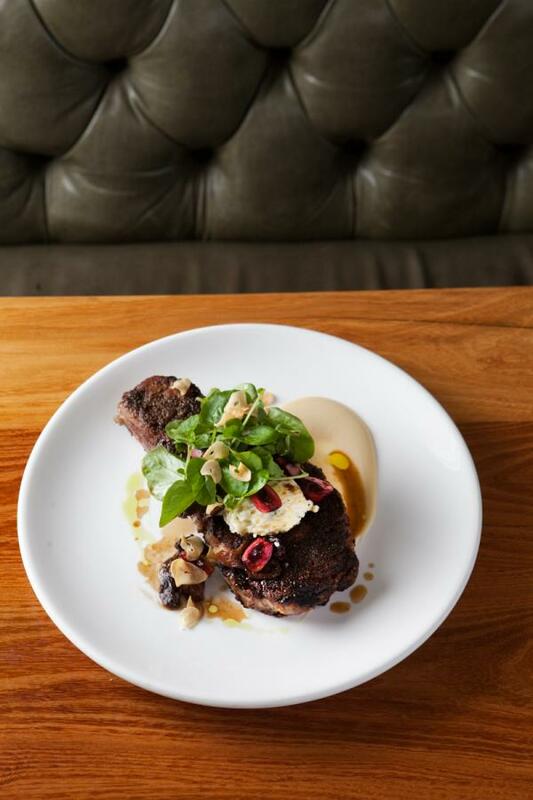 Her entrées include the standard proteins—scallops, chicken, and a rib eye, the latter arriving over sun choke puree with grilled radicchio. But the steak’s salsa verde, finished with anchovy, brought thoughtful complexity to the dish and tied the earthy flavors together. 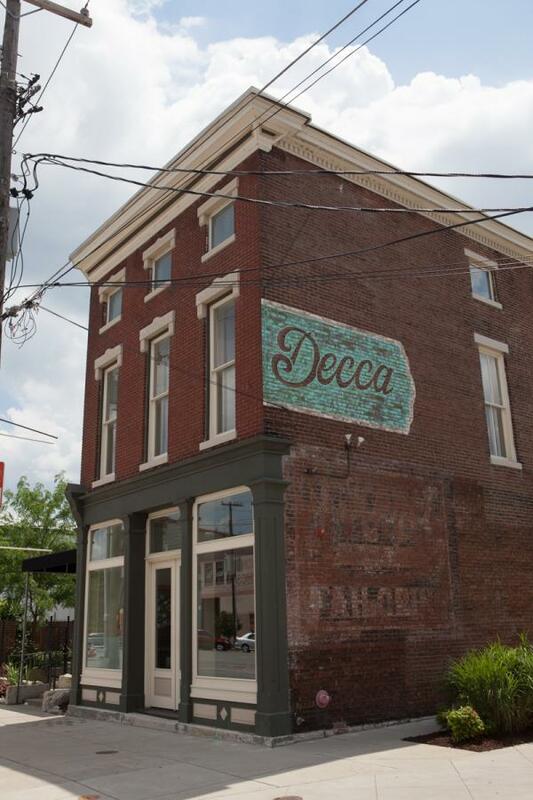 There’s not a single offering on Decca’s ever-changing menu that attempts to reinvent the wheel. The genius lies in Pettry’s ability to nail technique, pair slightly unexpected stalwarts, and keep flavors laser-focused and unfettered. She is the consummate craftswoman, a cook’s cook, pure and simple.